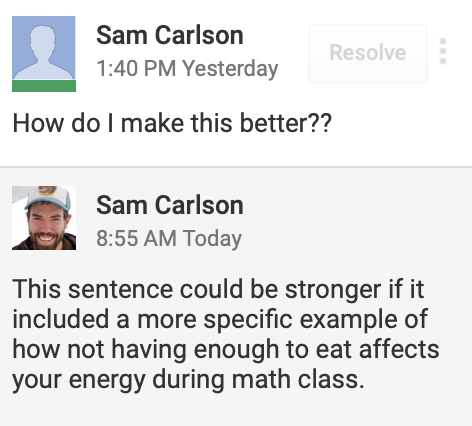 Additions and modifications to Google Classroom’s UI could allow teachers to more quickly provide high value writing feedback. Allow teachers to quickly provide quality writing feedback. Make the most best ways for students to write the easiest ways to write. Demonstrate that these goals can be met with minimal changes to current UI. Lots of thinking through sketching. While drafting an assignment on Google Docs, a student is unsure what to do next. Adding a rubric tool to the side panel allows students to more easily engage with assignment criteria. 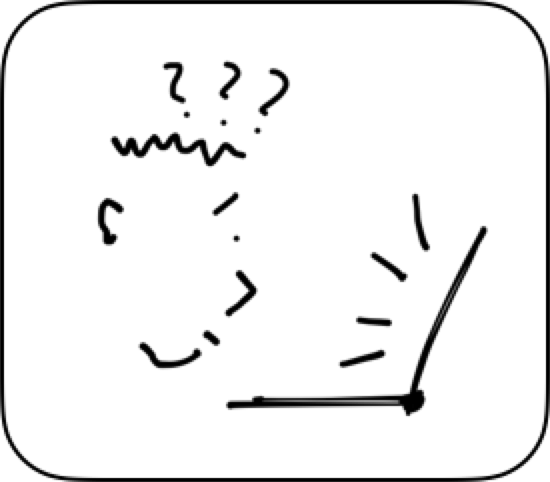 Audio comments can be recorded for students that will get more out of listening to their feedback. This tool would allow teachers to efficiently respond provide meaningful feedback. A student is drafting a writing assignment and is not sure what to do next. Highlight text and post a comment requesting feedback. Not know how to phrase their feedback request. Step 2: Student wants an update from the teacher on their progress so far. Quickly request feedback on a specific criteria from that assignment's rubric. See rubric criteria teacher thinks best describes their writing. Receive comments as audio recordings if they have low reading comprehension. 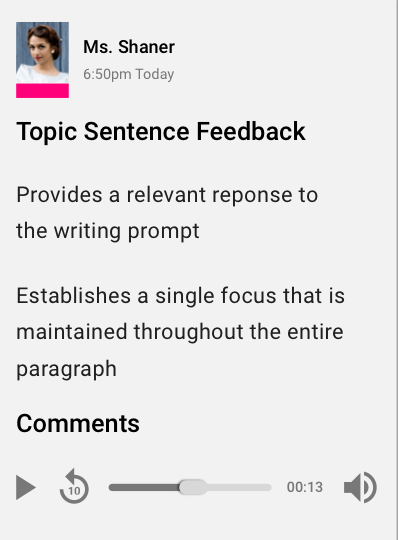 Be guided through feedback response by teacher designed prompts. Automatically add next steps to assignment task list. A teacher needs to send a message, but only to a subgroup of their students. Step 1: Teacher selects subgroup to message. Send an email (which is risky). Send messages within Classroom or Docs. Add Task items for subgroups that students will see inside Docs.